Please be aware all Axminster stores will be closed on Easter Sunday. Some of our stores will open on Good Friday and Easter Monday, please check your local store’s page for opening hours before making a visit. 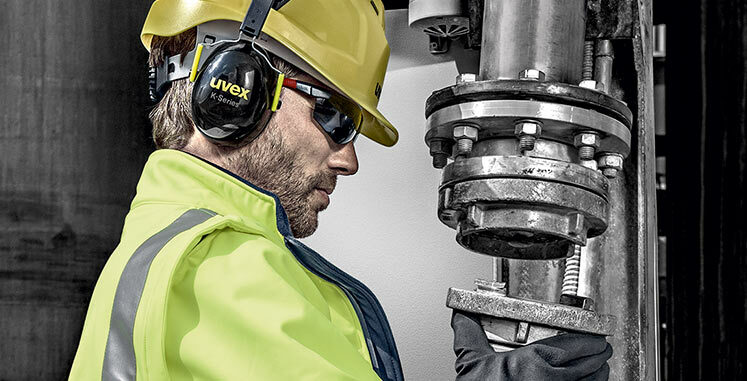 DeWalt demonstrator Matt Ryan will be in store on Friday 21st April to offer advice and guidance on the use of a wide range of DeWalt cordless power tools – including the new 54V Flexvolt tools which provide unrivalled portable power. For all our gardeners we have a Makita UD2500 Shredder on clearance at just £99 – come in and take a look. Our new Live Workshop is taking shape fast and we’ll be opening this to our customers shortly, you can get a sneak peek of it below. Please watch out for an email and keep checking ‘What’s On’ at The Knowledge Blog! 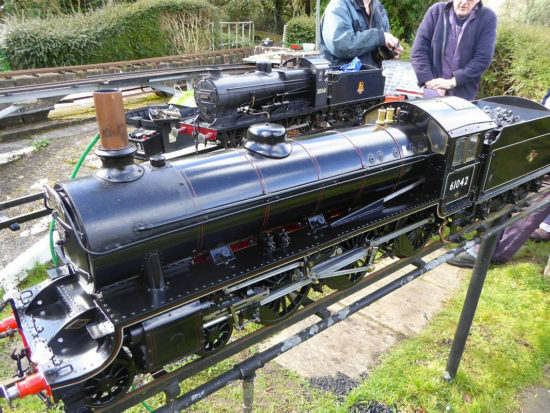 The Basingstoke Model Engineers Gala show was a great success with plenty of interest in our Axminster model engineering machines. Looking forward to seeing plenty of our new customers in store! We still have an industrial spec Jet 2424 Short Bed lathe on clearance at just £3,000 (RRP over £4,800) and a Jet DC1900A extractor at £471.40 (RRP £596.96). Or buy both at the great package deal of just £3,100! We also have the Trade Series PS315 Panel Saw reduced by £170 to clear at just £1,999.99. 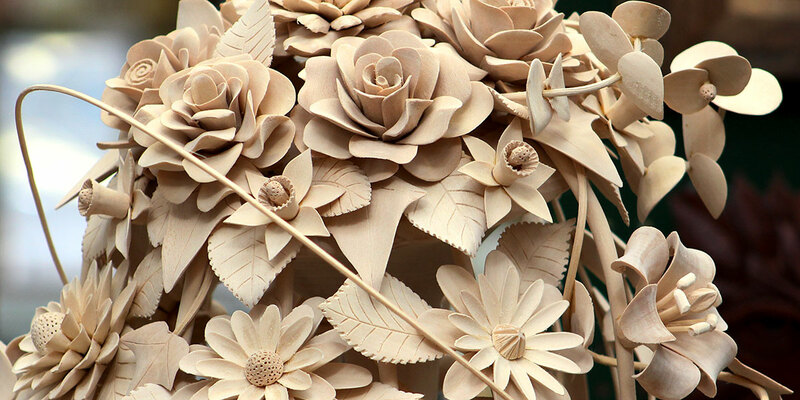 This Saturday 15th we welcome back the Welsh Regional Team of the British Woodcarvers Association. 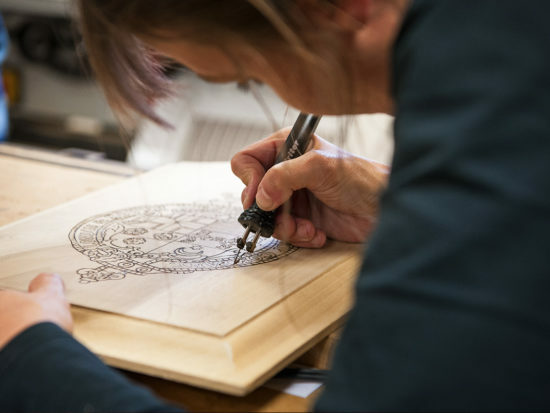 These talented craft specialists are always willing to share their knowledge so make sure you come along to the store with your woodcarving questions. We have a wide selection of products currently on clearance offer including an Axminster Trade Series scroll saw now on sale at just £534.96 (normal RRP £734.11). It’s great news that all our store team are now registered Dementia Friends. 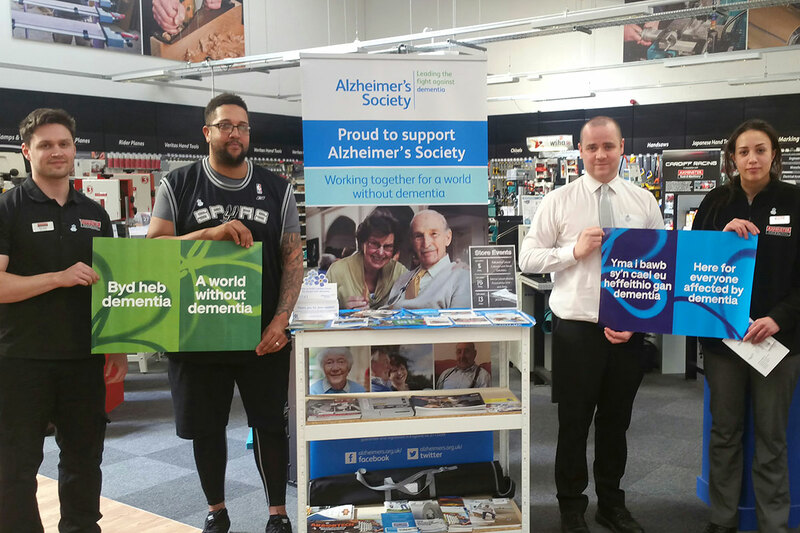 As a business, Axminster Tools and Machinery is committed to all staff having a better understanding of dementia and supporting the objectives of the Alzheimer’s Society. 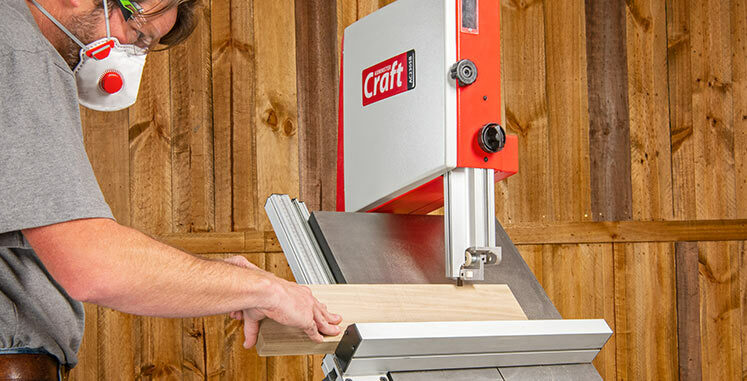 This Saturday (15th) our in-store specialist Alex Wade will demonstrate the Safety Speed Cut C4 Panel Saw – ideal for cutting 8’ x 4’ ply and mdf boards. The following week, we have international Lie-Nielsen demonstrator Deneb Puchalski here from 10 am on Saturday 22nd. This is a rare opportunity to see Deneb demonstrate a range of high quality, precision Lie-Nielsen tools and talk in detail about plane set-up and sharpening. Machine enthusiasts will be pleased to know we have just opened an Axminster Industrial Series machine display area. 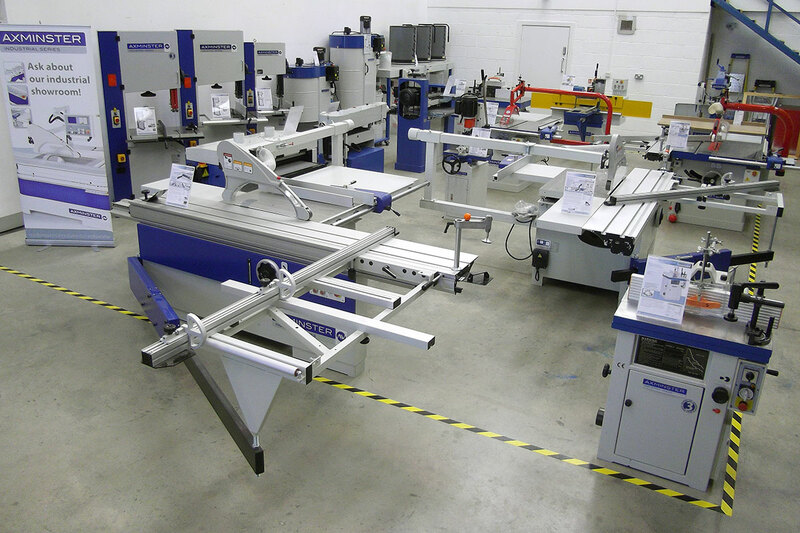 Come along and take a closer look at these robust, precision machines in an ideal environment. We also have a number of products on clearance at the moment, including the Belle Minimix 130 electric cement mixer at just £260 (RRP £324.67) and a larger Honda powered petrol unit offered at £580 (RRP £644.16). Development of our team never stops at AT&M High Wycombe! 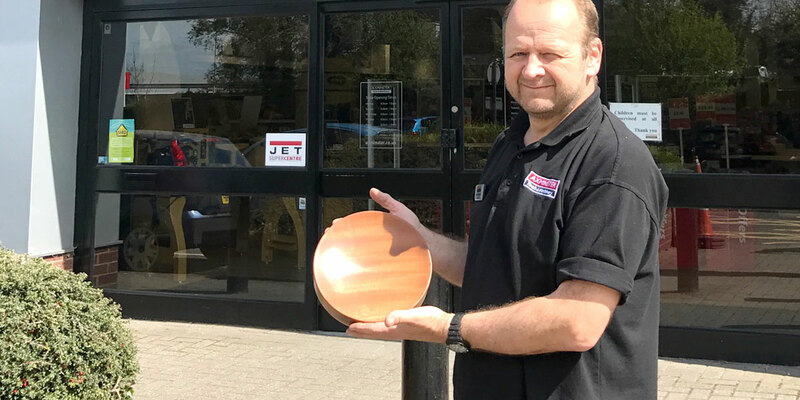 Our Deputy Store Manager Paula Webb is attending a two-day Lie-Nielsen master class with Deneb Puchalski next week; Alex completes his Engineering course and Sales Advisor Steve Shelbourn has just completed his first bowl on the lathe! This Saturday 15th we host our Sharpening Weekend with Mark Stewart demonstrating both the Tormek T-8 sharpening system and the Veritas honing guide. If you have any blades or chisels in need of a sharpen, then please feel free to bring them in (maximum of two per customer) and Mark will show you how to use and get the best out of both systems. Some great clearance offers available at the moment with plenty of interest in two UJK Technology multi-function tables selling at just £60. These will sell quickly so please come along and grab a bargain now! 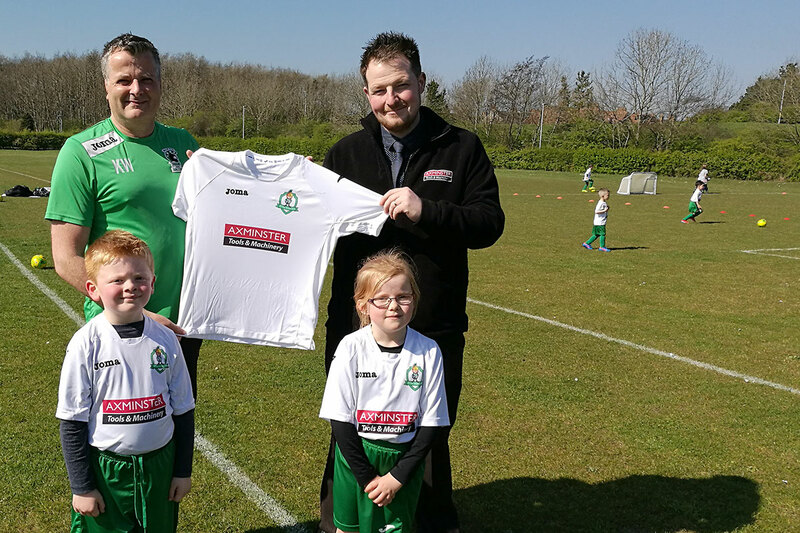 Store Manager Mark Bloomfield was invited over to meet members of the Little Spartans football team which is run by top local club Blyth Spartans. The team has just received their Axminster sponsored playing shirts and were eager to try them out. 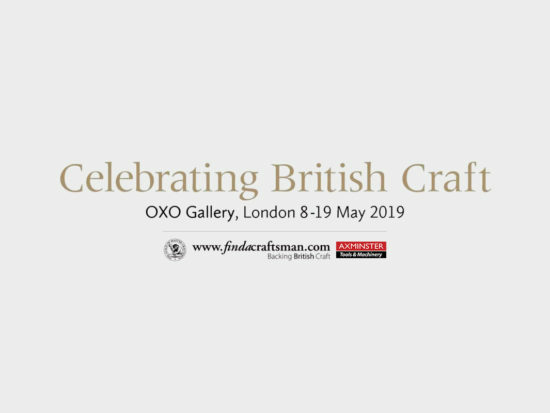 A long-range reminder to all woodturning enthusiasts – our store will have a stand at the popular Woodworks show at Daventry on Thursday 11th and Friday 12th May. More details to follow but book the date in your diaries now! We have the latest Proxxon cordless tools in stock – please come in and get ‘hands on’ with these super-convenient, versatile tools. 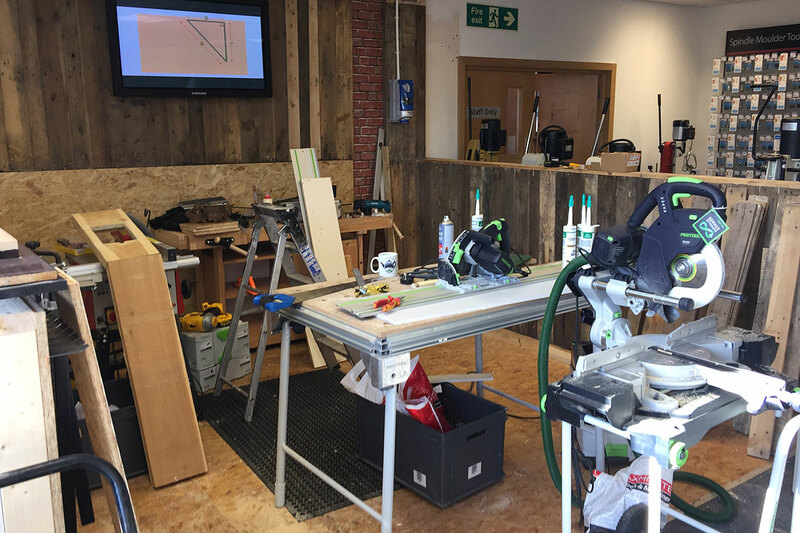 Our Power Tools demo bench is also now fully operational so you can get to grips with the machines of your choice! Sales Advisor Rebecca Nickford has just completed scroll saw training and will soon be scheduling her first store demonstration. Our multi-skilled Sales Advisor, Rob Sheehan will attend a master class with Deneb Puchalski next week and will be ‘honing’ his Lie-Nielsen skills to perfection. If you’re interested in investing in these superb hand tools, make sure you come along and talk to Rob first! Peter Hibbins hosted a pen-turning course on Saturday and all of our students were pleased with their results. 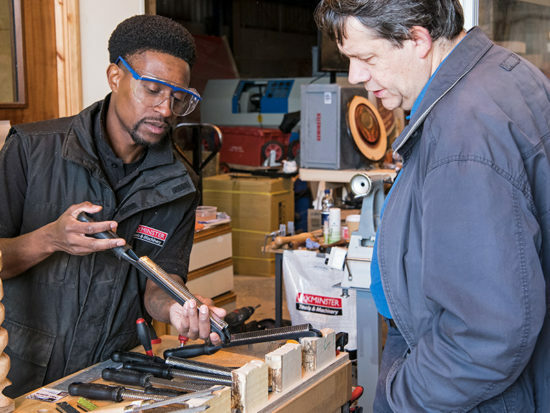 We have a wide choice of turning and woodworking courses running throughout the year – please take a look at our Skill Centre for more information. 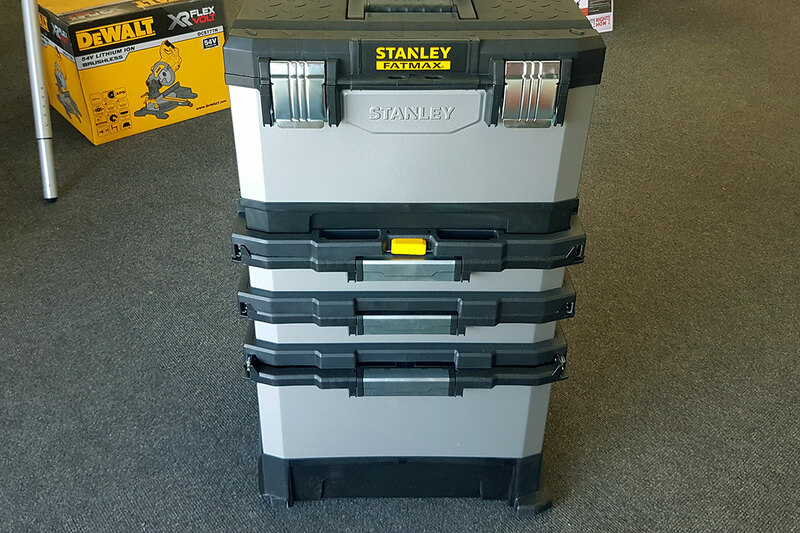 Our clearance offers currently include a Stanley Fatmax rolling tool chest which is priced at £75 (RRP £118.79) – just a small break to one foot and still a great bargain. On Saturday 15th our in-store specialist Dan Shaw demonstrates how to get repeatable razor-sharp edges on chisels, tools and knives with the versatile Tormek T-8 sharpening system. The following Saturday 22nd we’ll demonstrate why the planer thicknesser is fast becoming one of the most useful machines in the workshop. Don’t miss out on these great free demos! 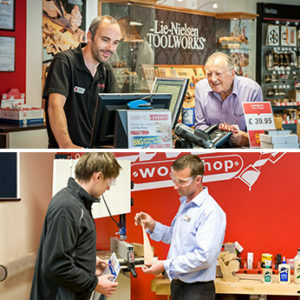 Our Deputy Store Manager, Paul Otter, is off for specialist training on our range of Lie-Nielsen hand tools next week. If you’re interested in learning more about these exceptional North American precision tools, please pop in and talk to Paul.